Australian Open Tours – The Australian open is one of the largest annual tennis events held in the world. It is usually run over the last fortnight of January in the city of Melbourne,Australia. The anticipated event is the first of the four Grand Slam tournaments held each year. The Australian Open is followed by the French Open which is held in Paris, followed by Wimbledon which is held in London and the last of the events is the US open which is held in the United States of America.The Australian open showcases the the best tennis players from across the world bidding against each other to vie for the title of winning the first Grand Slam of the year. Australian Open Tours means driving you to the Melbourne Park which is located along Olympic boulevard and that is only just a few minutes outside the city centre of Melbourne.The tournament is held in the centre court of the Park which is called the Rod Laver Arena. The worlds greatest tennis players have set foot on the famous court such as Roger Federer , Selena Williams and more. The game of tennis is competitive and thrilling ,it has managed to leave many tourists turn into fans of the game. 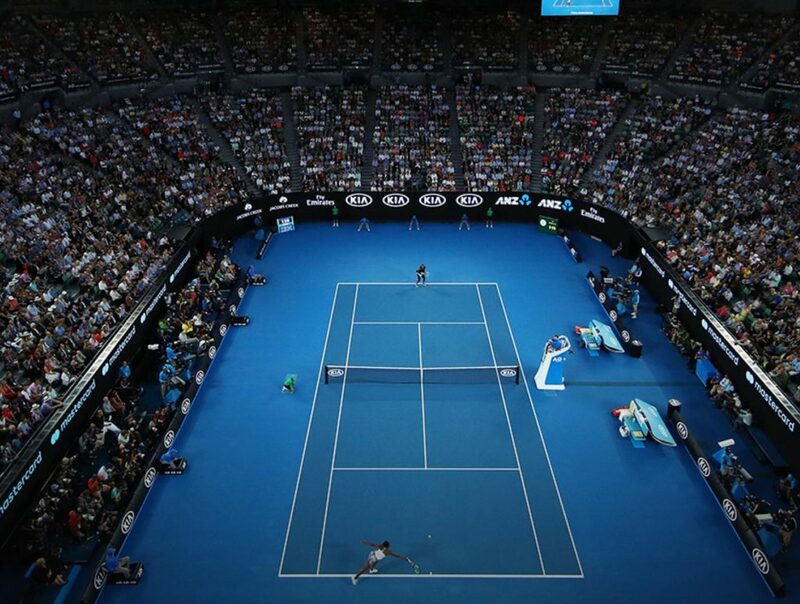 To the tennis fans, the Australian Open is one of the most sought after events of the season. The annual event brings in large numbers and it manages to fill out the stadium seamlessly.It is one of Melbourne’s largest sporting event and one of Victoria’s greatest tourist attractions. The event will also exhibit various entertainment which include the Australian Open festival, the Australian Open sports film festival, live performances and activities for children. The event will be filled with tennis, fun and games to keep the whole family entertained throughout the day. Melbourne Maxi Taxi provides Australian open tours where we will be able to take you to the Australian Open according to your schedule/bookings. The tickets and bookings for the Australian Open are available online on the events respective website.Our Cab service offers point to point bookings which means that you can tailor your tour around the event/location of your choice. The services also offer restaurant stops upon request in case you might want to take a lunch break in the heart of the city . Melbourne Maxi Taxi service will accommodate and customize the tour to suit specific group requirements and needs such as addition of baby car seats or the availability of wheelchair accessible Vehicles.Maxi cabs will collect customers from their hotel/accommodation to the location of their intended Australian Open game. We value your time and we want to make sure that you get the most out of our services so we will ensure you arrive to your destination promptly and your ride will be readily available to pick you up after the event. Maxi Taxi will return the customers back to their respective hotels or accommodation . The tour can be tailored around your schedule and the flexible services will be available for all the days of the tennis tournament. To pre book Melbourne Maxi Taxi services for Australian Open Tours, Please call 0469 283 466 or fill the booking form. To book Australian Open tickets, Please visit Australian open website.